Annual, 100 days to maturity. 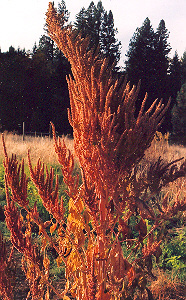 Native to South AmericaThis is one of the earliest of all crops. 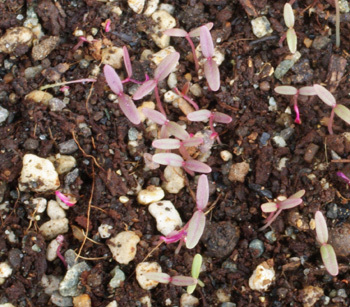 As a young archaeologist, I excavated charred Amaranth seeds at the Koster site dating back to the new world paleolithic. This plant is still easy and worthwhile to grow and makes huge plumes of golden flowers on plants to 8 feet tall. 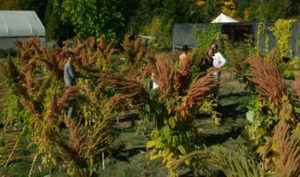 Golden Amaranth produces the superior type of seed for food use–light colored, loaded with nutrients, incomparably tasty. 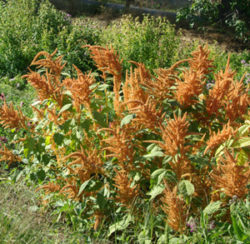 Plant prefers full sun and regular garden soil. 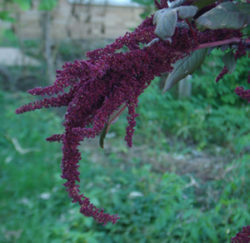 If you can grow pigweed in your garden, then you can grow this amaranth (they are related). Direct seed in the spring garden and thin to about 1 foot apart. We tested the yield of our (Horizon Herbs Select) cultivar and registered one pound of finished seed per 10 row feet (about 10 plants). I use 1/2 cup per person for breakfast, simmered in five times as much water. In other words, a standard breakfast for 2 people would be one cup of grain to 5 cups of water. Bring rapidly to a boil, then set to low and simmer for about 30 minutes, until the water is absorbed by the grain and the cooking gruel reaches the “pukka-pukka” stage where the bubbles burst out of the thickened gruel with a popping sound. Then, turn off the heat and cover for about 10 minutes. Then eat naked, or embellished by milks, raisins or other dried fruits. 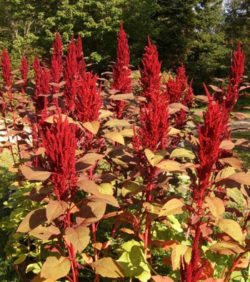 This is one of the easiest grains for home gardeners to grow and eat. At this point we may be looking at an interesting diversion from our standard diet–in a few years we may be relying on it heavily. At my house we already rely on it heavily. It is time to walk the garden, and make Captain Crunch walk the plank! 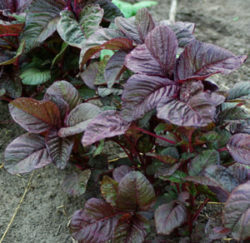 I am trying to decide which amaranth to plant and was wondering if this variety has edible leaves as well. Yes, this is a quick annual!